Consisting of nine songs co-written by Groban, it marks the first album to feature his writing since 2013’s All That Echoes. 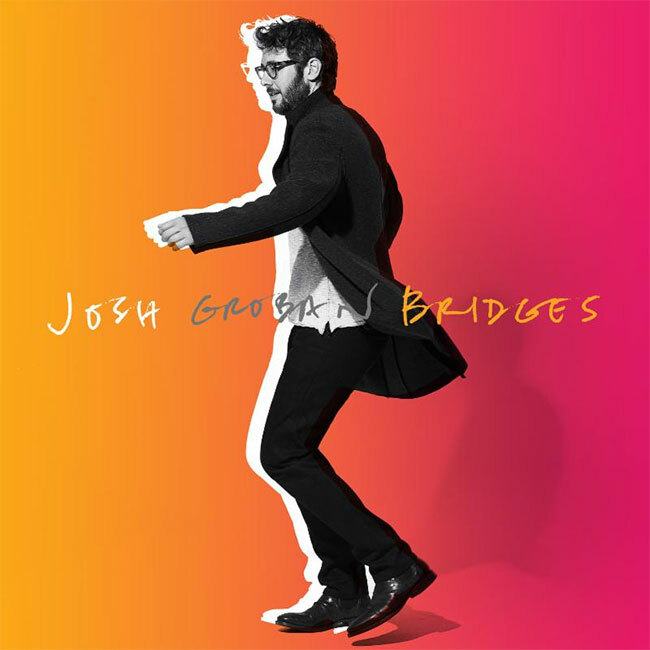 Over the course of Bridges, Groban delivers a dynamic, diverse, and definitive body of work. “River” stands out as an emotional track wherein his powerhouse tone underscores the details of the rejuvenating effect of walking to the Hudson River alongside his dog. Meanwhile, “Musica Del Corazon” continues a lifelong love affair with the romance languages as Groban belts in Spanish backed by the fleet-fingered fret fireworks of world-renowned virtuosic classical guitarist Vicente Amigo. The conclusion “Bigger Than Us” sees him carry an uplifting message of unity to the heavens and back with inspiring charisma and spirit as the hook-“I feel so small with my hands up to the sky, I am reaching up tonight ‘cuz this is bigger than us”-soars. The Deluxe Edition features a soulful and striking cover of Billy Joel’s “She’s Always A Woman” as well as two other songs. To bring this vision to life, he recorded in Los Angeles, London and New York with multiple producers including Bernie Herms and Toby Gad, Steve Jordan, Dan Huff, and others. Expanding his influence, Groban co-stars on the highly anticipated new Netflix original series, The Good Cop, alongside Tony Danza. The series begins streaming on September 21st, the same day Bridges arrives. The singer will embark on a fall 2018 arena tour supported by Tony-Award winning, multi-platinum recording artist and actress, Idina Menzel.